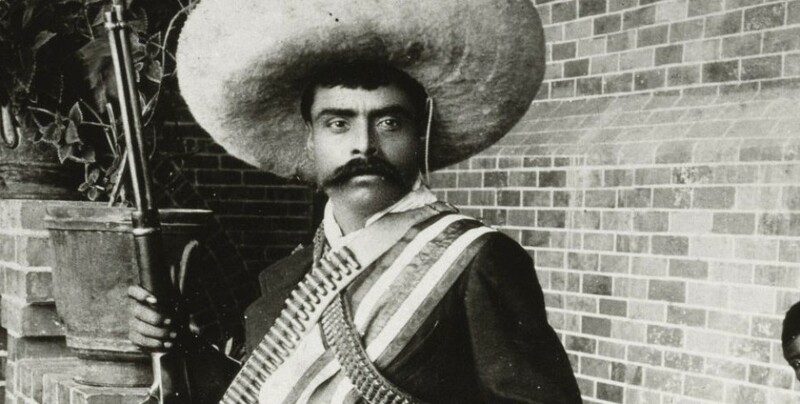 On April 10 1919, the revolutionary Emiliano Zapata was assassinated in Chinameca, in the Mexican state of Morelos. The revolutionary inspired the insurrection of the Zapatista movement and the struggles of social movements against all exploitation. On April 9 and 10, in two days of international and national mobilization, recalling that Zapata's aspirations represent the aspirations of the peoples of the world against oppression, a communiqué from the Kurdish Women Movement was read and shared to the General Assembly in Amilcingo in the National Indigenous Council and during the massive march in the town of Chinameca. Here is the full text of the communiqué. 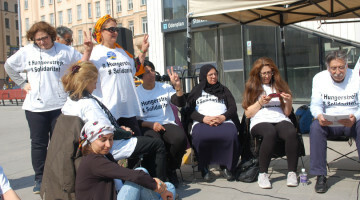 Today we participate as Women Movement of Kurdistan from Latin America united in the love for the land and freedom and in the defense of society against every injustice that threatens the ethical and political values ​​developed in autonomy by the history of freedom of the peoples and of the women in the world. This shared ancestral history brings us closer to the endless struggle that Emiliano Zapata carried on. It continues until now. With the awareness that it will not end in its intensity until we obtain all that corresponds to us in building world without statal, racist, capitalist and patriarchal exploitation, where women play a motor role of transformation in all areas of life. We have said many times that in front of every colonial, capitalist and state system, women are the first most exploited colony: so we made a very radical affirmation. 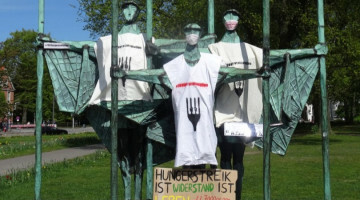 We say today that this radical affirmation has to uncover answers and even more radical solutions, which go to the roots of the problems of capitalist modernity to create another system of life without slavery for women and consequently for the whole society. In Rojava we have proof today that another world, where many worlds fit, is possible. Today the jihadist forces product of the global capitalist system of the Islamic State have been defeated definitively by the Feminine Defense Forces in Deira Zore. A victory obtained thanks to the free thought of a myriad of peoples, thanks to the intercultural force of self-organization present today in millions of women and men in North Kurdistan, as in Rojhelat, as in the revolutionary project of the Democratic and confederal Federation of North Syria. From Morelos to Kurdistan we come together in the river of democratic modernity, walking side by side feeling the struggle in the skin of our bodies, from the cities to the forests, from the jails to the mountains, from the revolutionary martyrs and from all fallen, like Samir Flores. With the spirit of Sakine Cansiz, of Berta Caceres, of Marielle Franco, of Baty Cariño, of our revolutionary Argentina Alina Sanchez, who built bridges between our desires and continents, we continue to walk, multiplied and stronger. On the 100th anniversary of the assassination of Emiliano Zapata, beyond the due and deserved tributes to his life and his work, we say today that we want to pay the historical debt with the indigenous peoples and women in the front in each corner of the Planet, as protectors of the land, of the air that we breathe every day, of the rivers, with all the women rising up today in the world against patriarchal and fascist capitalism. 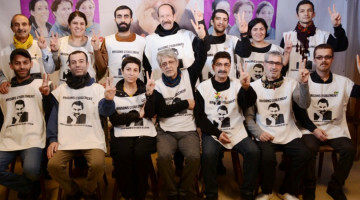 Motivated by these same dreams against this power world system and against the dictatorship of the Turkish state, Leyla Guven with thousands of political prisoners activists from around the world, started a hunger strike that continues for more than 150 days . 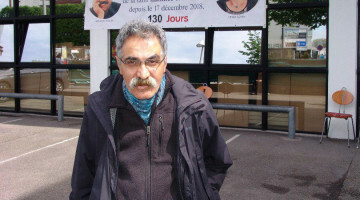 Its objective is linked to an idea of ​​universal freedom, in the will to break the isolation left by the revolutionary philosopher of the democratic confederalism Abdullah Ocalan in total isolation in a prison of maximum security for more than twenty years. The resistance carried out today by the Kurdish people through the pioneering action of Leyla Guven is at a historical level of resistance. The liberation of the Kurdish city of Afrin occupied by Turkish State wants to be the next step in the resistance, which will lead us to break with fascism thanks to a revolution of women that is becoming bigger every day. 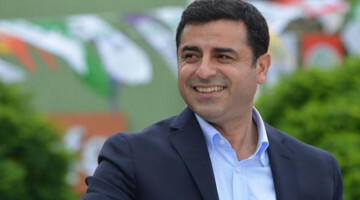 As Emiliano Zapata and Abdullah Ocalan showed us, ideas can not be arrested. They continue to inspire generations and to strenghten communities. We have not extinguished the light that our Zapatista sisters have given us, it illumines more than ever our challenges and our dreams and will be transformed into a fire of hope and freedom, an alternative to the system, in every place in the world where there is oppression, developing , in the self-government, with the global democratic confederalism of women, in plurality and together, another possible life, more beautiful and just. Zapata Live! The fight continues!